Set in a bleak, spacebound future, Dead Space begins with a silent engineer named Isaac Clarke traveling on a rescue mission to the USG Ishimura, Earth’s largest and most efficient "planet cracker." He receives a strange message from his girlfriend Nicole and decides to travel as the leading engineer of the rescue group, hoping to discover what the message means. He is accompanied by Kendra Daniels, a technologist, and Zach Hammond, the senior security officer of the crew on a small rescue ship called the Kellion, which crashes immediately into the Ishimura when the gravity booster breaks away from the ship. Isaac and crew enter the Ishimura and begin starting up systems, hoping to discover why no one is around, when they are ambushed by enemies labeled "Necromorphs." After escaping the ambush, you (Isaac) receive your first and arguably best weapon, the Plasma Cutter, before beginning your long journey through the Ishimura. Isaac's main goal is to discover what happened to his girlfriend, but the majority of your missions revolve around restoring the Ishimura back to normal. You are sent to do a variety of tasks in different areas throughout the ship, all while ascertaining what really happened onboard. Much of the back-story is detailed through audio, text, and video logs, which are displayed on Isaac’s holographic menu, although some logs are tricky to find. The missions do get a bit tiresome after awhile, mainly because the game makes you feel as though you are doing all the work while your allies sit in a safe haven and hack a computer. It feels unfair, and for the most part, it is. The gameplay itself is immersive, as there is no heads-up display (HUD) in Dead Space. Instead, Isaac’s items, maps, health, and ammo are displayed via holographic menus that do not stop time, meaning that enemies can still be attacking you when you decide to check your inventory. The game is much scarier in this sense, as there is nothing along the border of the screen to distract gamers from the sights and sounds within the Ishimura. Added to this is the concept of 3D exploration, in which you can jump from wall to wall in zero-gravity areas. This means that you can travel from room to room (only in designated areas) by jumping from wall to wall, but it also means that enemies can come from nearly any angle. Dead Space's combat is rather well done, as it sticks to both the story and its horror roots. The battle system is termed “strategic dismemberment,” which is the process of shooting off a Necromorph’s limbs until he is dead. If you shoot off an arm, it runs towards you. Shoot off a leg, it crawls until it catches up to you. Shoot off the head, and it flings its arms around in a frenzy. Players have to be careful to conserve ammo during runs, so it is important to shoot where it hurts most, which changes for each enemy. All of the weapons fit the storyline, amazingly enough, as it is easy to see that the weapons used were tools made available to the miners when they worked. The Pulse Rifle goes a little against this, but weapons such as the Flamethrower or the Cutter could have just as easily been used to cut and mine rock as they are to kill Necromorphs. The graphics and sounds of the game are quite impressive; lighting and shadows in particular make for a pretty creepy atmosphere, and the sheer amount of blood and gore found in the corridors, along the walls, and in the rooms of the Ishimura is enough to make your skin crawl. One room specifically comes to mind: the one in which you find your first weapon. In blood above a dead body is written the words “Cut off their limbs.” Images such as these are everywhere and never seem to become any less scary. Music and sound effects are also extremely well executed. The former intensifies as players get closer and closer to either an enemy or an objective (in most cases, both), and rather than dying off when a player decides to back away, it merely softens, keeping its edge while not ruining the moment. You can also hear the Necromorphs crawling and breaking through vents and air ducts in a majority of the rooms, yet finding them can often be difficult. I have encountered more than a few rooms in which I was afraid to enter due to the sound of an enemy’s presence on the other side. A rather interesting aspect of the game is the treatment of outer space. Isaac goes outside into space on several occasions, and the producers do a fantastic job in creating a completely different environment. When Isaac enters space, his suit switches modes in order to accommodate his intake of oxygen. Graphics become a mixture of blues and grays, and all sound is practically wiped out. Instead of hearing enemies or bullets, players will hear the sound of Isaac’s heart beating and breathing. It is creepy, particularly when you begin running low on oxygen, as Isaac’s breathing becomes labored, indicating it is time to use an oxygen tank. Dead Space is a fantastic mixture of science fiction and horror, plain and simple. While your allies could have played a bigger role in the storyline, the plot is a detailed and ultimately satisfying one with some nice twists involved. Enemies and gameplay remain scary throughout the entire game thanks to well done graphics and sound designs, and the fighting style is both immersive and brutal. Players obtain some pretty nice items after beating the game and can run through a second time with all the items and weapons obtained through the first run, making it fun to play through several times. 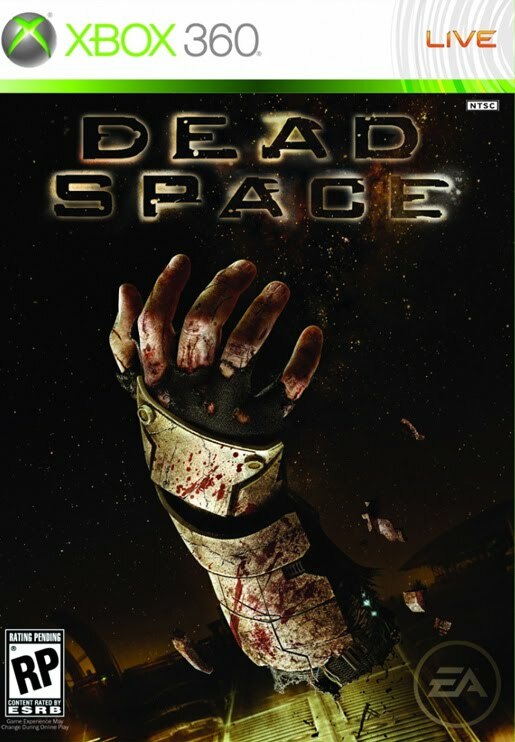 Those intensely involved in the series have other avenues to explore, including the animated movie Dead Space: Downfall (2008) and the Wii game Dead Space: Extraction (2009). Dead Space 2, the official sequel to Dead Space, is set to be released January 25, 2011. This review is based on a retail copy of the Xbox 360 version purchased by the reviewer.